Scuba divers must obtain prior approval and register themselves at the Mersing District Council before taking part in diving activities at Sultan Iskandar Marine Park and are required to have proper insurance coverage. 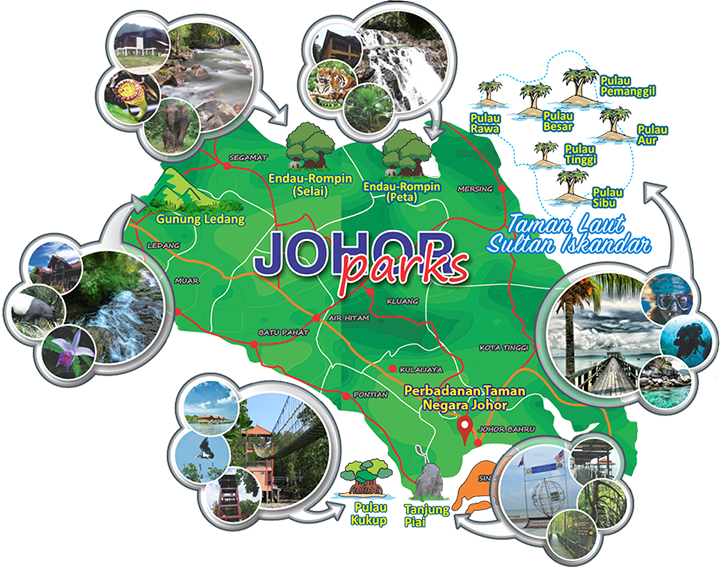 Johor at the tip of peninsular Malaysia have several spectacular national parks. Sultan of Johor is a hereditary seat and the nominal ruler of the Malaysian state of Johor. In the past, the sultan held absolute power over the state and was advised by a bendahara. Nowadays, the role of bendahara has been taken over by chief minister. The Sultan of Johor Sultan Ibrahim Sultan Iskandar issued the decree on 7 August 2017, after launching the Coral Restoration Program and signing the Malaysia Book of Records’ (MBOR) plaque for the Largest 1Malaysia Simultaneous Coral Reef Plantation Program in Pulau Tinggi, in southern peninsula Malaysia, the New Strait Times reported. The Sultan said this was not only to ensure their safety, but also to protect the beautiful coral reefs in the marine park. He also said divers should also make an effort to protect the marine life and rich coral reefs in the park. "Much of the corals have been damaged due to boats anchoring improperly and flouting the regulations," he said. To be imposed by the Johor National Park Corporation (PTNJ), the money collected from visitors would be used to maintain, protect and conserve the marine life in the areas, state tourism executive councilor Datuk Tee Siew Kiong said. He said the fees would also help the corporation to finance its programs, including educational and research-related activities to educate the public on taking care of the marine environment. Mersing Islands consists of six clusters, namely: Aur, Tinggi, Pemanggil, Besar, Rawa and Sibu. It measures an area of more than 8,000 hectares, inclusive of 13 islands. Besides National Parks, all these islands are also being gazetted as Marine Parks. Divers who are heading to the Sultan Iskandar Marine Park must register themselves at the Mersing District Council. You must not simply come from Singapore or anywhere else and go diving here.